1. What are the similarities and differences in the volumes (and formulas - consult your formula sheet) of these figures? 2. 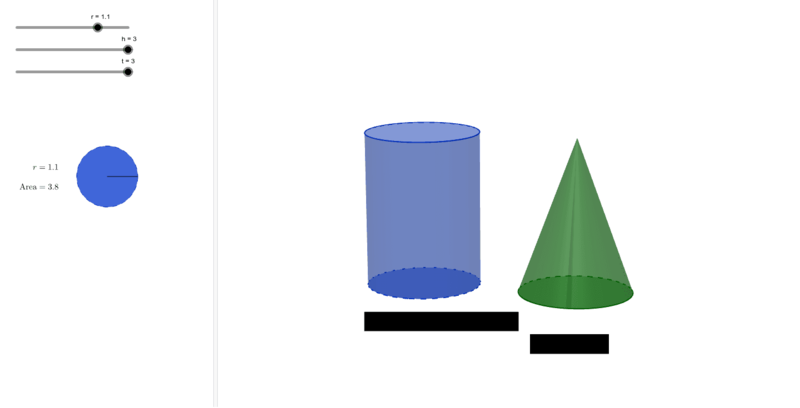 Compare the volumes and two different heights (record them) and two different radii (record them). What do you notice about the difference in volumes with each change. 3. Repeat number two for the same heights and radii, and reflect on the ratio of the volumes. How does is this or is it not explainable with the volume formulas for each figure?